We are pleased to inform you,that as a result of our recent lottery draws held on 1st February 2008.
until your claims have been processed and your money remitted to you. actualize the processing and subsequent release of your won funds. receipt of the above information. Please remember to quote your winning Number:15  22 23 31 15 in all of your correspondence. or compromise the privacy and security for all winners. This Email with the Subject "CONGRATULATIONS !!!" was received in one of Scamdex's honeypot email accounts on Mon, 24 Mar 2008 00:28:23 -0700 and has been classified as a Generic Scam Email. 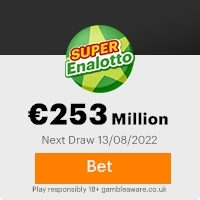 The sender shows as UNITED KINGDOM E-LOTTERY. <uk-elottery@e-lottery.co.uk>, although that address was probably spoofed. We recommend that you do not attempt to contact any persons or organizations referenced in this email, as you may expose yourself to scammers and, at the very least, you will be added to their email address lists for spam purposes.